Manchester Xtreme have all the best prices in the UK, North West, Manchester & Stockport for Air filters and air filter products. 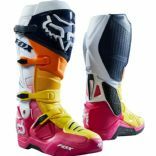 We Stock all available brands such as Fox, Alpinestar, Gaerne, Six One Six, Sidi and O'Neil. If you have any quires about any of our products or price quires please give the shop a call on - 0161 483 5559.